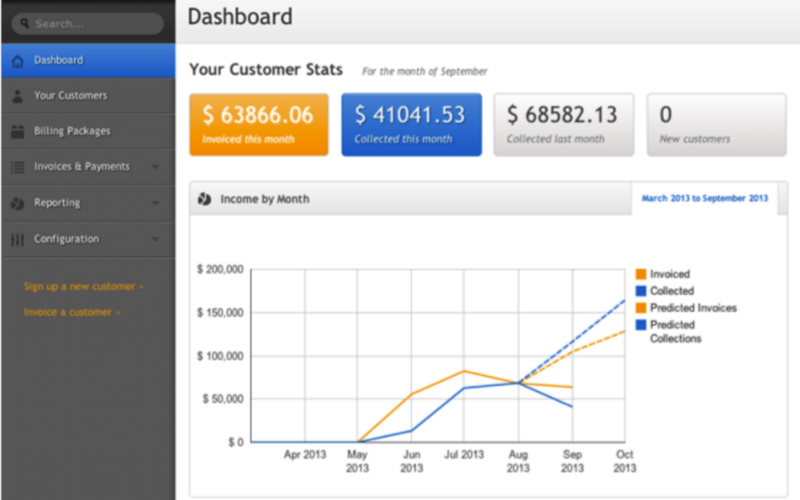 Based in Minneapolis, Minnesota, ChargeOver introduced its subscription and usage-based billing software in early 2011. ChargeOver guarantees full PCI compliance and a clear commitment to premium customer service. ChargeOver’s track record of supporting business growth makes it a popular choice for businesses seeking recurring billing software. ChargeOver grows with your business. Need more payment types? The system accepts credit, PayPal, and ACH. Expanding internationally? ChargeOver is multi-currency aware. Switching processors for better volume pricing? ChargeOver works with over 20 processors. Want to add 40 new subscription products? ChargeOver supports an infinite number of subscriptions. Customers appreciate the basics, especially when they just work: automated billing, payment acceptance, and dunning. If you can sell it, the ChargeOver team can bill it: subscriptions, one-off charges, trial programs, discounts, usage-based billing, etc. Hosted payment portals are provided for customers to update payment information and make payments. Every customer communication, from invoices to dunning letters, is customizable with HTML and personalizable with account fields. Additionally, everyone on your team can search the ChargeOver database to review transaction history, past emails sent/received — all sortable by date and customer. ChargeOver comes with built-in Xero, QuickBooks (all versions), and Avalara integrations. Zapier and other integrations are ready to DIY any other connections you might need. Finally, all of the benefits of ChargeOver are available through its developer-friendly API. You also can use ChargeOver.js or webhooks to connect ChargeOver to your application or website. Not sure if ChargeOver is the right accounting and billing software for your organization? Call, click, or email to speak with an unbiased Technology Advisor for a no-cost, no-obligation consultation on your unique requirements. Learn everything you need to know about ChargeOver. Our experts will reach out to you shortly.